As a YA read this is 4 star book as marked but for an adult I think it's more of a 3 star. This is a sweet and moving story about accepting love. Love of oneself, love of family, love of friends and the love of lovers. It's done well but for me I think the story could have been richer and deeper but the author chose to keep it light and not delve too deeply into those realms which would have provided the richness and depth. 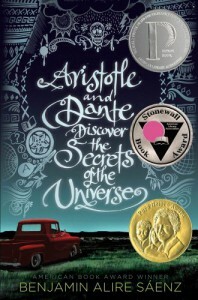 Too bad (for me) but it's still lovely and recommended but maybe for a younger (teen) audience.